Sweet Couture | Handmade Themed Cookies & Cupcakes Sydney! Handmade Themed Cookies & Cupcakes Sydney! Creating beautiful treats for our family and friends. 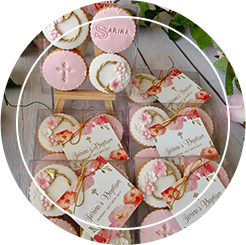 As a mother and daughter team our vision is to bring together our collective talents and passions to create delicious and unique custom cookies and cupcakes suitable for any occasion. We would love for you to share our creations with your family and friends. Why not have a stunning display of cupcakes on the dessert table at your next event? Any theme, any occasion, all custom designed to perfectly match your event décor. 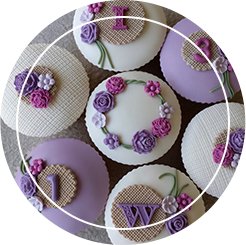 Our unique gift boxes contain 6 individually designed and decorated cupcakes for any occasion. These are presented in a white box with clear viewing window and sealed with ribbon. 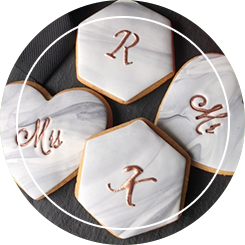 Our hand made cookies are perfect as bomboniere for any occasion, from Weddings to Christenings, milestone birthdays such as 1st and 21st birthdays, engagements, baby arrivals, baby showers, the list is endless. 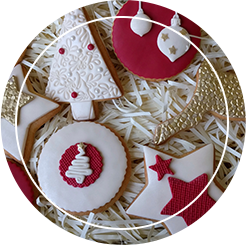 All hampers contain 6 individually designed and decorated cookies or cupcakes (or both) Specific accompaniments to the hampers are available on request. 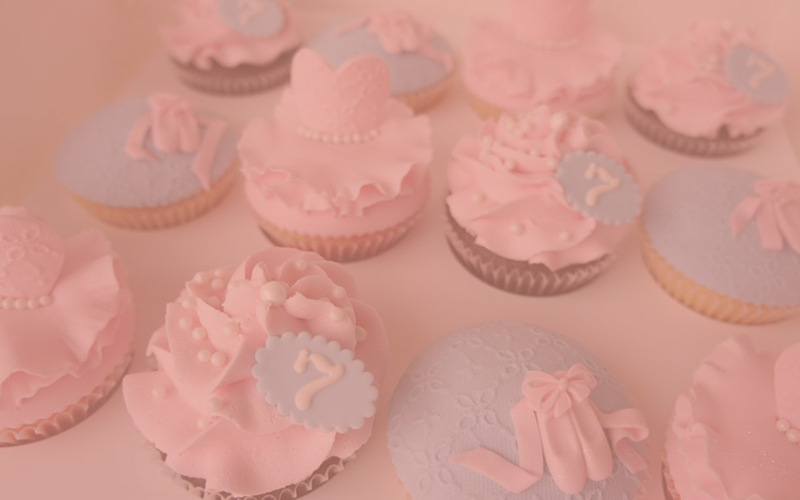 What occasions are cupcakes and cookies usually ordered for? What size are your cupcakes/Cookies? Our cupcakes are a little smaller than a muffin. They are approximately 7cm in diameter. Our cookies vary in size and shape. We will state the size in our quoting. A wide range of sizes are available. Our cupcakery is a private kitchen in South West Sydney and has no shopfront. Therfore there is no public access. We deliver our cupcakes, cookies, hampers and gift boxes locally only. Delivery to wider Sydney is available for Wedding bomboniere and event favours. Delivery fee is based on location and availability. Please inform us of your location so we can include delivery in your quotation. In general, we ask for 4- 6 weeks notice for events. This may be a little longer during wedding season. For smaller cookie or cupcake orders, 2-3 weeks is sufficient. Do you customise your cupcakes and cookies? Yes, all of our designs are individually personalised and decorated to suit your theme. How to you store cupcakes? Cupcakes are best served at room temperature. They should not be placed in the fridge, as they will dry out. If the cupcakes are not being eaten for a few hours, then a cool spot is best. Any leftover cupcakes should be stored in an airtight container. How do you store cookies? Our cookies are generally wrapped in cellophane and tied with ribbon. Like biscuits, if kept sealed they will last for weeks. We recommend eating them within 4-6 weeks for optimum flavour, 3-4 weeks in the warmer months. Boxed cookies should be kept sealed until they are required to be displayed. Unwrapped cookies used on platters for dessert tables etc, should be consumed as soon as possible. Once your order has been placed and a deposit made, any cancellations must be made at least one week prior to the occasion. Sweet Couture has the right to withhold any deposits if sufficient notice isn’t given. please fill in the enquiry form and we will get back to you shortly with an obligation-free quote.